While it may not feel like it, we're now in 2019 in the beginning of February despite January feeling as if it lasted for an entire decade. I hate to be the bearer of bad news, but most of you reading this have probably abandoned your resolutions altogether, but you know what? It's fine; it's just fine since it's never too late to pick yourself back up on your feet to start over. Thanks to The Wild Son in New York, you can now begin to motivate yourself to get back on track with the help of their new CBD (cannabidol) and celery juice cocktails. The Wild Son's latest celery juice cocktail is known as 'Maria Verde' and is light, refreshing, and salty. When creating this cocktail, the tomatillos that are used are cooked with grapefruit juice, green apple juice, celery juice and jalapeños. Then, lime juice, horseradish, diced onion and garlic, white pepper, apple cider vinegar, Cholula's green hot sauce, and a touch of agave (to help balance the drink's acidity) are added to the drink. Additionally, add an agave spirit of your choice (tequila or mezcal) before shaking and straining said drink over ice in a rocks glass with half of a chili salt rim. 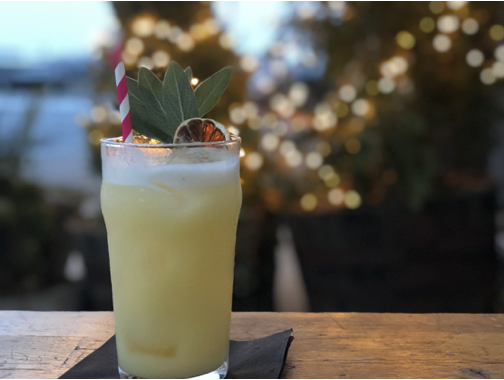 In terms of CBD cocktails, The Wild Son has released two new drinks that are named 'Sunglasses and Advil (pictured above)' and 'The Mango Jewel.' Both drinks help to restore balance and to calm you the eff down with the usage of CBD. However, it's worth noting that CBD is the only mutual ingredient used in both drinks; more details on each drink are provided below. In The Wild Son's 'Sunglasses and Advil' drink, ingredients include tequila, coconut water, pineapple and banana puree, vanilla, CBD, and is garnished with grated nutmeg and mint. While the drink's served on the rocks in a pint glass, the goal of the drink is to restore balance via the electrolytes in the coconut while consuming the potassium from the banana for antioxidant and anti-inflammatory reasons, and tequila's just there for anesthetic reasons... ok.
On the other hand in The Wild Son's 'The Mango Jewel' drink, ingredients include mango puree, fresh ginger juice, CBD, and champagne. 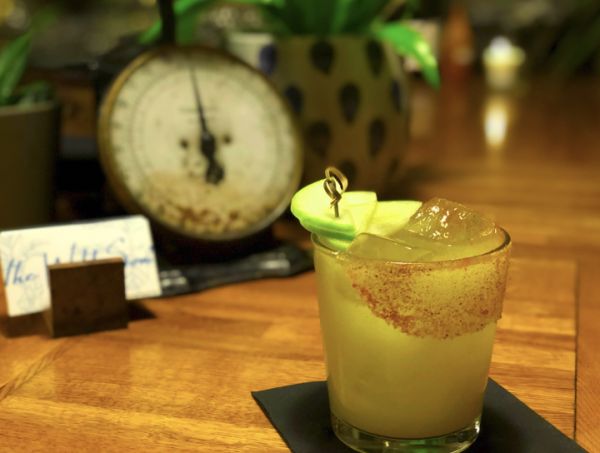 The actual drink itself is served on the rocks in a pint glass with a chili salt rim and got its name from the popularity of mango JUULs here in New York.